Starting up a new business is never a piece of cake, even when the business is actually all about making cakes. 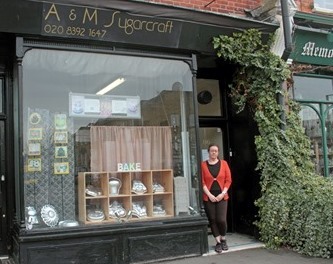 Furthermore, when Alison Powell opened A & M Sugarcraft on Upper Richmond Road West in the summer of 2009, she had never even run a shop before. But five years later in a testament to her skill and determination, her business is flourishing. Making cakes for special occasions was something she had started as a hobby a few years earlier and she found she had a talent for it. “I was never a passionate cook but I decided to give it a go and then I got the bug – I completely fell in love with it,” she said. Alison studied, took her City and Guilds exams in decorating and design, won diplomas at cake shows, and made cakes for family and friends. “As word spread I realised there was a demand for my services which I could turn into a business,” she said. Living locally, she spotted her current premises from a passing bus when it became vacant, and with the support of her husband decided to take the plunge. “It was a hard slog at the beginning. In the first month I only sold four cakes,” she recalled. But now the business is well established and she has busy periods when she needs to get to the shop at 5am in order to keep up with all the orders. And she’s also landed a contract to supply 10 cakes a week to a café in Kensington and creates cakes for companies, too. 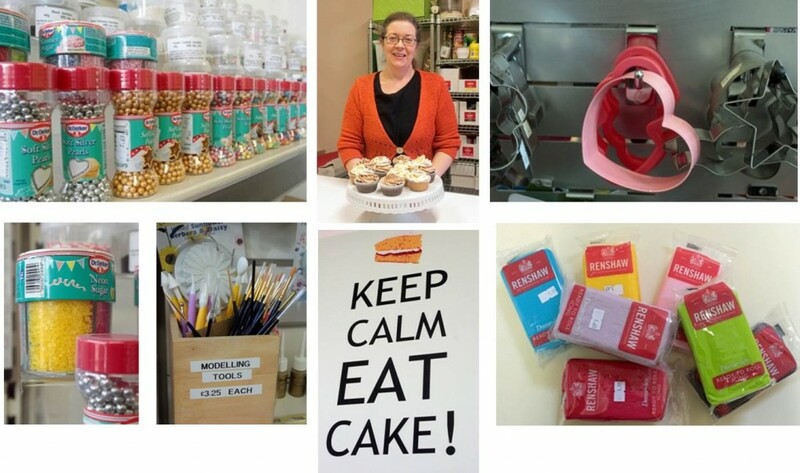 Cakes for birthdays and weddings are her basic stock in trade – all made to order in a well-equipped room behind the shop. But Alison is prepared to rustle up – in consultation with the customer – a cake for just about any special occasion. Always good at art and design at school, she says she is never happier than when using this flair to create amazing structures out of eggs, flour, sugar, cocoa butter, and other ingredients, which not only look good but taste good as well. She says children can be very imaginative when it comes to choosing their birthday cake. She has made a karate cake, a Noah’s Ark, an Indiana Jones cake, fairy castles, trains and cars, but the most unusual was a cake shaped like a rat! She has also made a chicken cake for a hen party, a red double-decker bus for a 70th birthday, a cake shaped like a trainer for a 16th birthday, and a 30 inch long sausage dog cake for a family which liked them. Another family have acquired such a taste for Alison’s cakes that they have ordered a different birthday cake for their son for the past four years, as well as several for their daughters. She also makes many wedding cakes, some very large requiring a lot of work. Alison’s cakes cost from £35 up to as much as £500 for a huge wedding cake. But her shop is also full of DIY cake-making equipment, including bases, moulds, packs of coloured icing sugar, cutters in all shapes and sizes, sugar hearts, butterflies, polka dots, and little models to decorate cakes. The walls are decorated with some photos of her prize-winning exhibition cakes.